@_BigBen7 @jharrison9292 @DOCnation_7 thanks to you and your team mates for a fine season even though fell short the fight was to the end. I appreciate @_BigBen7 and his effort today! You tried! They still followed you…you are still a great General. Always got love for @_BigBen7 Hope you guys come back stronger next season! “Congratulations on a great year Ben. We will get them next year, always a loyal fan. Go Falcons.” — Debbie L. Sweet. Tough ending but great memories of this yr thx @steelers @jharrison9292 @iammikemitchell @_BigBen7 @dabody52 @RamonFoster to name a few. “Next year Big Ben, Great year keep up the great work we Love you !!! Steelers For Life !! !” — ‎Steven Salamida‎. “Ben, I am so proud of you and the guys for getting this far. That in itself says a lot! I still have all the faith in the world! Love you! We’ll get there next year!” — Lynne Krizovich‎. “Very proud of the Steelers to have accomplished all that they did this year after a rough beginning to the season. Maybe next year!! !” — Gerri Hamler Scheiderlein. 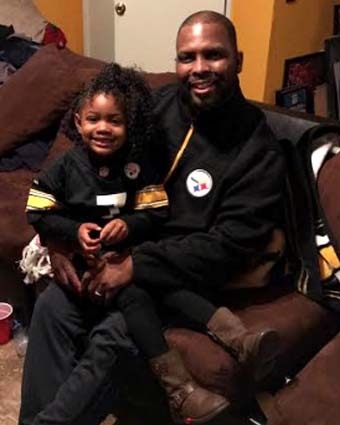 @steelers @_BigBen7 Thanks for a great season guys! Wish it could have ended differently but can’t wait to see what you bring next year!! @_BigBen7 Thank you for a great season. Class act bro. “Hope Ben NEVER retires! 💖💛💙” — Carol Ann. @AntonioBrown @_BigBen7 @L_Bell26 Thank you for a great year. “Thanks Big Ben for a good awesome season you guys are still the best. Go Steelers! !” — Ernestino Steele‎. 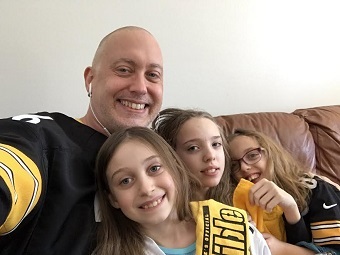 @steelers Thank you all for an incredible season. I never lost hope we would get a chance for that 7th ring! 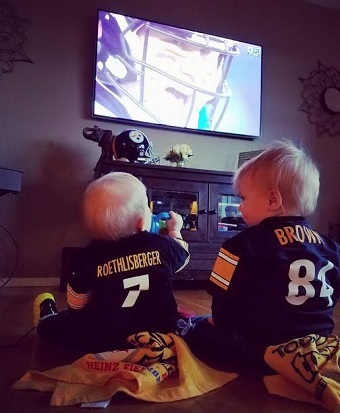 @_BigBen7 I love you. You’re a great man. “We love you big guy! !” — Joshua Brintnell. @steelers @jharrison9292 @AntonioBrown @L_Bell26 @_BigBen7 Great season, guys! It’s been a joy to watch – waiting for next season! “Great job and great year. The reality of the games of the world is that someone wins and someone looses. Games come and go and you played a good season.” — Bernadette Marie Mosey. @_BigBen7 Played like a beast tonight. Love you BIG BEN! “Thank you, Ben, for another awesome year of Steeler football! Go enjoy those little ones for a few months!” — Elaine Spry. 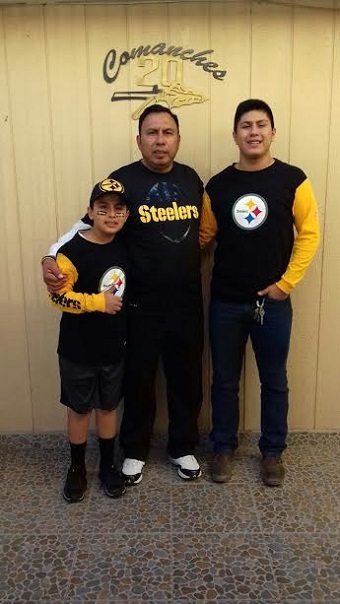 @_BigBen7 @AntonioBrown @SteelersUnite @steelers @DeAngeloRB Still a proud Steelers fan! Btw no one can copy the Terrible Towel! “Next year Big Ben, Great year keep up the great work we Love you!!! 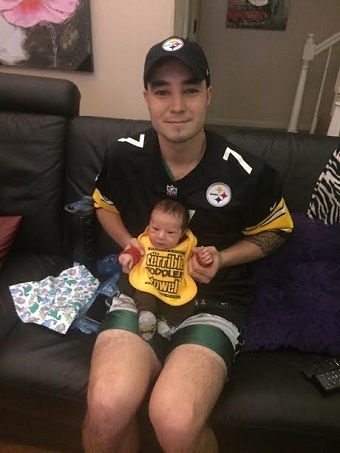 Steelers For Life! !” — Steven Salamida‎. Ben Roethlisberger @_BigBen7 has grown so much as a man, and as a QB for the @steelers. Good answers in the press conference. “Thanks Ben for an exciting season. 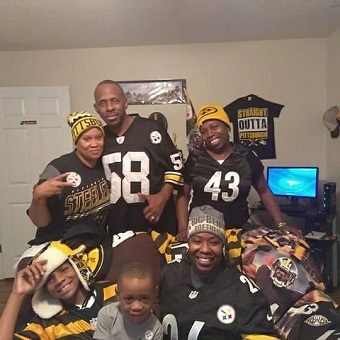 #STEELERNATION is still #STEELERPROUD!” — Susan Delucia‎. @AntonioBrown @L_Bell26 @_BigBen7 Great season. Never underestimate the heart of a champion. 2017 bright. Unfinished business. @steelers @_BigBen7 you had a great run this season! Thanks for keeping us fans on the edge all year! Enjoy your time off and rest up see you soon! “Thank you Ben for an awesome fun season! hold your chin and head up high! Steeler Nation loves you Ben! looking forward to next year! !” — Joyce A Matuzak. @steelers @_BigBen7 I feel bad for Ben. He played his heart out. We’ll be back next year! @steelers @_BigBen7 Ben deserves better. “Thanks for an exciting season, Big Papa! 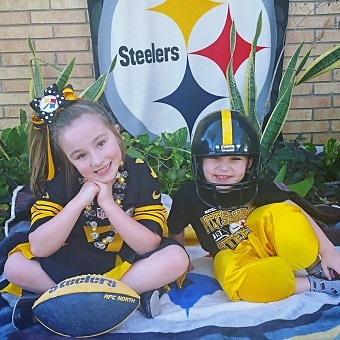 I’m proud to be a part of Steeler Nation!” — Kristin Swaney Nasal. @steelers @_BigBen7 you still rock! “I still believe in you and you’re still MY favorite, Ben! Sorry you didn’t really have anyone out there helping you when it really mattered tonight. I REALLY thought this was our year… — Twana Winters Taylor. You encompass Steelers football @_BigBen7. Thank you for your leadership, performance, and drive. “I’m proud of you and the leader you are! As a lifelong fan, thank you for an amazing season. 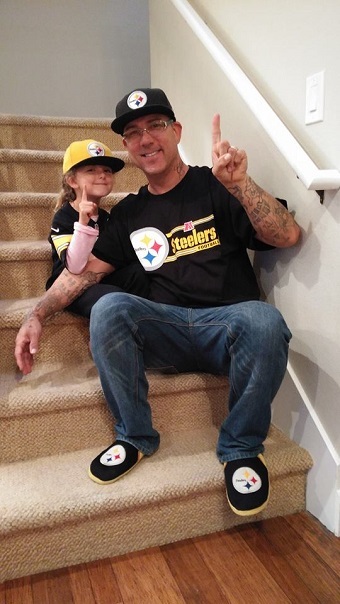 #killerbs #steelernation” — Ginger Huxley. @steelers @L_Bell26 @AntonioBrown @_BigBen7 @jharrison9292 I wanted to thank all of u for a great year I’m sure you will get them next year. “Great season, class act. See ya next year!” — Wolf James. Thanks for a great season, Steel Crew!! It was so much fun to watch. @L_Bell26 @AntonioBrown @_BigBen7 Next year. “Amazing season, I can’t wait to see what you guys will bring next year. We win some and we will lose some. We are proud of you all regardless!” — Rachel West. I love our QB @_BigBen7 I hope we get most of these guys back too. Add @twheat002 & @ThaBestUNO & draft a pass rusher & we get back to SB. “I’ll be 65 next week and have lots of grandchildren. The first game I ever watched was the first game you played for the Steelers. Now I’m a crazy fan!! I wear your jersey proudly and enjoyed this season. Good job, Ben. Next year….the Super Bowl! !” — Patty Shannon Hahn. *Thank you to everyone who [email protected]“>emailed, posted to Facebook and tweeted!! And a special thank you to Kristina Gillespie, Marcia Watts, Eric Kingma, Wolf James, Kevin Davis, Larry Ruiz and Donna Tyson for sharing the photos! Steeler Nation is THE BEST!